This promotion is valid April 1 - December 31, 2015. Use Promo code: WELCOMECASINO when registering. You will receive a 150% Bonus up to R$/EUR 500.00 on your first deposit of R$/EUR 10.00 or more. This offer only applies to players older than 18 years old. This welcome package has a maximum value of up to R$/EUR 500.00 and cannot be combined with any other offer. Upon accepting a Bonus, you agreed to adhere to these terms. 4. Rollover requirements: When playing Casino or Slots, you must Rollover your Bonus 20 times (Bonus + Deposit) before you are allowed to withdraw. Play on Roulette(s), Craps, Baccarat, Blackjack(s) and Video Poker(s) games will not count toward the rollover and are restricted games. If you play on any of these games, we reserve the right to void the Bonus and any winnings derived from play on these games. Slot maximum wagers allowed: There is a maximum wager of €/$10.00 per slot spin until you complete your wagering rollover requirement. Winnings gained at any Slot games with wagers higher than $10.00 are subject to be voided. Withdrawing: Bonus credits are for wagering purposes only and will be deducted upon withdrawal. If you choose to withdraw before having met the minimum wagering requirements, any winnings and Bonus amounts will be void and removed. The player caught taking advantage of the spirit of the promotion may have the account suspended or closed and any Bonus and winnings will be withdrawn from the account without the right to collect.  Betmotion is one of the best online entertainment site in the world. You can enjoy the best Casino games and experience the rush of Las Vegas style gambling. All this in the comfort of your own home on ultra-realistic software! Betmotion’s goal is to provide quality entertainment to people who enjoy gambling, by giving them the opportunity to do so in a safe, fun, fair, regulated and secure environment. Because everyone loves to talk about weather, we present you Today's Weather! This exciting new five reel, 25 lines game will make you feel like a weatherman. Is it going to rain this weekend? Or will it be sunny? You can choose! Three or more Today's Weather Forecast symbols will bring up the "Pick your forecast" screen where you can pick a day and its associated Bonus feature at random. You can pick among Tornado Stacked wilds, Ice cool snowball wilds, Lightning Random wilds and of course, a red hot Sunshine Multiplier Bonus, each one of them with different winning possibilities! Can you handle the weather? The hit HBO® series Game of ThronesSM has captivated the hearts of fans across the globe, and now Betmotion is excited to be able to offer players a unique gaming experience with an all-new 5 x 3 Reel Game of ThronesT Online Video Slot available in both 243 Ways and 15 Lines! Set out into the world of Westeros with a minimum bet of only 0.15 in the 15 Lines game and 0.30 in the 243 Ways game. If you get 3 Scatters, you will be given the opportunity to serve one of the four great Houses of Westeros by choosing one of four Free Spins features. You can enter the fury of House Baratheon, handsome loyalty rewards at House Lannister, you can run north with the dire wolves in House Stark and finally you can watch your wins take flight in House Targaryen. Map your way around this game at Betmotion! Finally! An excuse to play with our food! This Japanese inspired Slot with 5 reels and 25 lines is set to become one of your favorite games. With a perfect balance of gentle music, beautiful backgrounds, and sushi piece symbols that look good enough to eat. The main meal starts when three or more sushi appears, that enables the Much More Sushi feature that multiplies your wins. So Much Sushi, the tastiest deal in town. Are you ready for this monster collection? There are no mean monsters in this 5 reel and 25 line Slot. You will find weird Wilds, creepy monster symbols, eye ball Scatters, Free Spins and more. Come and see the funniest monsters around! Are you a fan of Candy Crush? Then you can't miss Sugar Pop! Get ready to play one of the most amazingly popular new slot game here at Betmotion! This colorful and fun game takes in everything that is great about modern social games and puts it all together in this fun and exciting slot. One of the main attractions of Sugar Pop is the level feature, as long as you play you earn scores and get level-ups. The gameplay is nothing you have seen before and the payouts are very generous due to the abundance of special features and super sweet combinations. Sweeten your life today with Sugar Pop! Titans of the Sun Theia is a 5 reel, 15 payline game with amazing HD graphics with flaming horses to fiery phoenixes flying down on the reels. Based on Greek mythology, this game is a sister game to Titan of the Sun Hyperion slot game. The main character is the beautiful Theia and features 2 bonus games. Mystery Symbol feature - mystery symbols are stacked 6 symbols high in the base game and up to 7 symbols high in the Free Spins feature. When they appear, all Mystery Symbols will all change into the same symbol for wins of up to 1,000X times your bet! 15 Free Spins feature is activated when you get 3 or more silhouette couple symbols anywhere on the reels. Wins can be doubled up to 4000X your bet. Join our new sharp shooting hero Robyn on a fairy tale hunt for cash riches as you enjoy this exciting and engaging video slot game here at Betmotion! With the wealth and prosperity of her village under threat from the evil harlequin queen, Robyn takes it upon herself to defend her people and take back what is rightfully theirs. Enjoy how this young huntress, known for her prowess with the bow and arrow, puts her skills to good use by delivering Random Target Symbols in the base game and Random Target Wilds in the Bonus Feature to deliver bigger and better wins in this 5 Reel, All Pays (243 Ways) slot game. One thing is for sure, there is never a dull moment when playing Robyn as she always does her utmost to deliver big wins. Betmotion presents Rugby Star! This 243 different ways to win slot captures all the action of this popular sport. The base game opens with Scatter symbols, Stacked Wilds and the Wild Pass feature. Stacked Wilds on reels 3, 4 and 5 featuring varying stacks, of up to 40 Wild symbols positioned across the reels. In-game action begins right from the first whistle. The Wild Pass feature triggers at random in Base Game and turns up to 2 reels Wild on reel 2, 3 or 4. Rolling reels features in both base game and Free Spins, where winning symbols award their payout and making consecutive wins possible. 3, 4 or 5 Scatters trigger 15, 20 or 25 Free Spins respectively. Consecutive wins increase the multiplier to a maximum of 10x. Zeus, Poseidon and Medusa want to help you win huge jackpots right here at Betmotion! Hot as Hades is a 5 reel, 20 payline slot whereby getting 3, 4 or 5 Crystal Helm Scatter symbols triggers a great bonus feature. 5 Free Spins are randomly awarded when the Super Mode round is activated. During this round, 3 Wild symbols are active whereby you can 2X your wins. Play today! Enter a world of adventure and survival with Jurassic ParkT. Be prepared to encounter Triceratops, Velociraptors, Apatosaurus and the great Tyrannosaurus Rex. You will be surprised with the real animation of the memorable "Nublar" island, game combinations that activate videos of the movie, and the special features, like Free Spins, Wild symbols and the "T-Rex alert mode". Welcome to Jurassic ParkT! Aliens have all-new 3D graphics, 3 levels, Wild symbols, Free Spins and collectible multipliers. This 5-reel, 3- row, 15-line Slot promises you an intense time on the reels as you scan for Alien activity and shoot through waves of Alien attacks to reach the Queen Hive. The goal in Level 1: The Search is to fill the Alien Activity Meter with the highest multipliers - this sets you up for huge wins in Level 2. The Encounter takes you to Level 3: The Hive, with a reward of 5 free spins, where the Queen Hive can be destroyed with a single grenade for maximum wins! Just an awesome slot - you've got to play it to experience the thrills of this game at Betmotion! Red Hot Devil is a 5 reel, 25 play line Slot machine with a Free Spins feature to increase your chances of winning big! Wheel of Fire Bonus Game When you are awarded the "Wheel of Fire" Bonus game, you choose between 10 fireballs. Each ball represents hidden hearts and 9 of them have a special "heart" that awards a bonus multiplier that applies to your total bonus prize. If you’re looking for a great slot game with more than its fair share of randomness then you’ll definitely want to check out Fish Party! Get ready for some futuristic fun with this game! It's a 5 reel Slot with 243 ways to win. Robojack will guide you through some electric features of Free Spins, Scatter symbols, Bonus rounds and more. Which one will be your favorite robot? Play and find out! Santa Paws offers up a fairly basic slot experience. As you can immediately tell, the graphics, effects, and music are all solid, but none is particularly outstanding in any way. Likewise, the bonus features are also fairly run-of-the-mill. The key to striking it rich in Santa Paws is to aim for the animals, for they are the icons that will lead to the cool bonus features. First, the penguin is the key to free spins. Have at least three of him come up on the screen to win 12 free spins that benefit from a 7x multiplier. Meanwhile, Santa Paws himself is the game’s wild icon. Rudolf the whale is an additional wild in the free spins bonus. Last but not least, there is a gamble feature on hand for all of you risk-takers out there. Max Damage and the alien attack is an arcade style slot game that combines a game of skill with the prizes typical of a slot game. Whilst piloting a spaceship you will have to destroy the alien spaceships to get through to the next level. Every spaceship destroyed or level successfully passed will trigger instant prizes and bonuses. Aztec Princess is a Slot that celebrates the Aztec civilization. It is a 5-reel slot and 20 lines with many Aztec's symbols helping you win big! The game also has Wild, Scatter and Free Spins symbols. Finding 3, 4 or 5 Wild symbols anywhere on the reels, you will win 15, 20 or 25 Free Spins respectively. And there is more! When 3 Scatter symbols appear anywhere on the reels, the Bonus game begins allowing you to win up 1000x your bet. Are you going to lose this adventure? The new James Dean slot brings the star back for one last performance in this 5 reel, 25 payline game! With Re-Spins, Wilds, James Dean Pick Bonus Round and Free Game Features, there are lots of opportunities to win big in this game. Play today and see what James Dean can do for you! Charming Lady Luck will lay on the charm to all players with its free spin feature and 9 lines to play. This slot is decorated with all the lucky charms you can imagine, from horseshoes to four leaved clovers. Today could be your lucky day with this charming game. The Wild symbol is the lamb and can act as any symbol except Lamp or Crystal Ball. Free Spins mode: If you get three or more Crystal Balls you will get up to 25 free spins at 5X payouts! Luck and legend go hand in hand in Lucky Zodiac, an exciting new Oriental themed slot here at Betmotion. This dazzling 5 reel, 20 payline game, features sparkling Wilds and Firecracker Scatters whizzing across the reels, and includes all the charm and mystique of the Chinese Zodiac. Lucky Zodiac includes popular features that you know and love. For players that want to push up their payouts, the classic gamble feature is offered on every Base Game win. Lucky Zodiac adds an exciting twist by switching the Zodiac symbol every Chinese New Year. You will love the 12 adorable Zodiac animals, bringing you a fresh set of Big Wins all year round. See your fortune written in the STARS! Vibrant coloured stars sparkle amongst the cosmos in this 5 reel, 10 payline slot. With wins that pay BOTH ways and an abundance of stacked wilds in the Free Spins feature, big wins are never too far away. Three or more scatter triggers 10 Free Spins, and 30 extra stacked Wilds are added to reels 2, 3 and 4 during these rounds. Any way you look at it, it's one WILD game! There are thousands of would-be explorers who would give their high-teeth to be paid for exploring the world's Wild North – but you can do just that in "Wild North" the online slot game from Play n Go. Head to the beautiful snowy mountains of Canada where you will get handsomely rewarded for spotting Wild Lynx, Running Reindeers, Savage Bear, Wolf Packs and Hoots of Owls, whilst there's also a plethora of animal themed bonuses that include fun things such as Wilds, Mega Symbols, Respins, Random Reels, Multipliers and Pick-Me screens. The princess of this castle is waiting for the love of her life. Find out if the prince wins her love. Chain Mail is a 5 reel, 20 payline slot whereby you can enjoy the Castle Bonus that will take you to the castle's gate to receive a bonus. If you find the Prince symbol, you will be able to win a row of cash values. This game also contains a Free Spins feature! It's fun - play today! Gods of Giza at Betmotion brings you the first innovation of Rotating Reels! This brand new Slot design feature helps deliver bigger and more frequent wins by rotating a full 360 degrees following each free spin, stopping every 90 degrees to re-evaluate new winning combinations from shifting symbols. Experience exciting new game play in this 4 x 4 reel, 20-line game featuring the innovative Rotating Reels with more ways to win. Three Scatters shake open the tomb to award eight free spins with four line evaluations per free spin, thus thirty-two chances to win in the bonus feature. In this classic Egyptian themed slot game with animated hieroglyphics, exotic music carries you to a desert adventure. Hidden behind secret walls of the tomb are the treasures of ancient gods in Gods Of Giza. Play it today! Come on an incredible adventure in Ancient Egypt as Betmotion presents you River of Riches online slot game. River of Riches is a 5 reel, 25-line Slot. A Wild Symbol does not substitute for the scatter symbol. Two or more Isis symbols will award a random Bonus win. Three Isis symbols scattered on the reels will activate the 10 Free Spins Bonus game with sticky wilds on reels 2-4. Play today! Lady in Red is a 5 reel and 25 paylines video slot inspired by the jazz scene and the night life around it. To help you obtain many prizes, the game features Scatter symbols that will trigger the free spins. As long as this bonus remains active your prizes will be multiplied 3 times. This game will allow you to win a major prize of 125,000 coins. An emotion in the Japanese style, which made ​​history on the Bingo halls. 75 ball bingo with 5x5 cards. Reach the PACHINKO name and win 1000 X your stake. Halloween Video Bingo is an electronic version of the classic Bingo game, allowing you to play individually. A player must obtain specific patterns on electronic cards such as: Line, Double Line, Column, Diagonal and Bingo. If you are few balls away from any winning combination you will have the chance to buy an extra ball and increase your chances to win! Era do Gelo 3 Video Bingo is an electronic version of the classic Bingo game, allowing you to play individually. A player must obtain specific patterns on electronic cards such as: Line, Double Line, Column, Diagonal and Bingo. If you are few balls away from any winning combination you will have the chance to buy an extra ball and increase your chances to win! Super Pachinko is the most popular Video Bingo. Based on the traditional Japanese game, Super Pachinko is most played Video Bingo lately, and the one who has given more prizes during the history of online entertainment. The game allows you to play with four tickets and buy up to 10 extra balls. Also, if you play betting three or more credits per ticket, you can activate the Jackpot in order to compete for thousands of dollars in prizes! Super Hot Bingo is a better and more exciting version of the Video Bingo Hot Bingo. Just like in the Hot Bingo, you can complete some patterns in the tickets, like Four Corners, Line, Double Line and Bingo. In the case that you complete a full ticket with the right ball, you will win the Jackpot! Also, in every play you have the chance to buy extra balls, with the possibility of win a Bonus with the last extra ball. As if this were not enough, you can get "Free Balls"! And with the "Joker Balls" you can choose which numbers mark in the tickets! Get in the Gol Bingo and be the champion of the Video Bingos! Line, Double Line, Cup, Goal and Bingo are some of the shapes that you can make during the raffle of 32 balls to win amazing prizes! And to raise up your chances to win, Gol Bingo allow you to buy 10 extra balls! There is even more! If you play like a real crack and make the court in some of your active tickets, you'll activate the PENALTY BONUS! Farm Bingo is the newest attraction on Betmotion! Farm Bingo is funniest bingo game at Betmotion.com. Discover a wacky farm filled with all sorts of prizes. Besides the down-on-the-farm images, sounds and colors, Farm Bingo is popular because it's a Video Bingo game that give you a lot of chances to win! Jackpot & Bonus Round Playing with four tickets and at least three credits on each, activates the JACKPOT! Plus, while you play there's a bonus round to enjoy after filling your basket to win extra credits! "Come play down on the Farm on today." Do you want to win the Jackpot? Complete Bingo within the first 30 balls of the initial draw and it will be yours! Hollywood Bingo has two Bonus screens. In the first one, you must choose one blank of the active line, and you can win a cash prize, end a the bonus or get a joker to access to the top line and participate for a bigger cash prize! On the second Bonus, you will pick cinematographic elements of the screen, each one of them hides an amazing prize. Discover the new Video Bingo "Pirates", sail the adventures seas and found your treasure chest! Have fun with "Pirates", a Video Bingo which raffles 32 balls, with option of receiving until 10 extra balls in order to have more chances to win! Want to know more? "Pirates" has very simple patterns: Line, Double Line and Full House (Bingo). Moreover, the Pirates's jackpot is won beating Full House with until 32 balls. What are you waiting for? Discover a new world sailing as a proper Pirate and have big fun! Video Bingo is an electronic version of the classic Bingo game, allowing you to play individually. A player must obtain specific patterns on electronic cards such as: Line, Double Line, Column, Diagonal and Bingo. If you are few balls away from any winning combination you will have the chance to buy an extra ball and increase your chances to win!